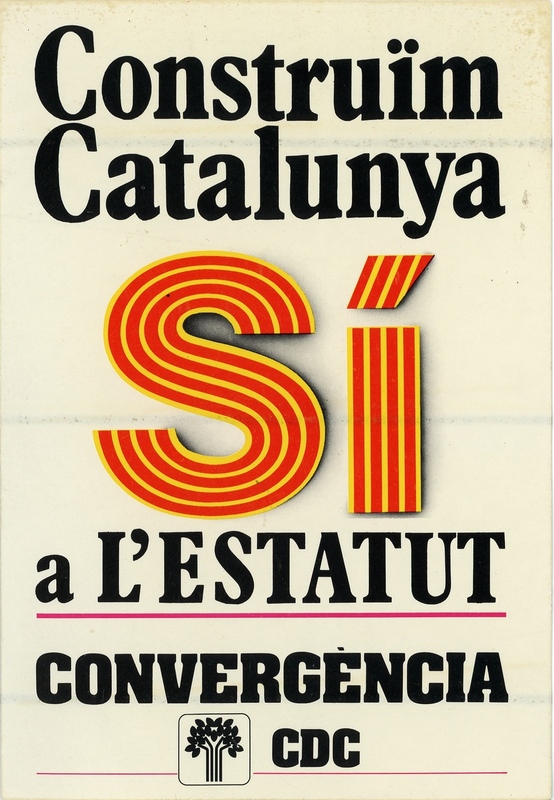 This sticker was part of a larger campaign of stickers advocating for the for the statute of autonomy for Catalonia. The leters "sí" are colored with red and yellow, the colors of the Catalonia independence flag. 88.51% of people voted yes for the statute.